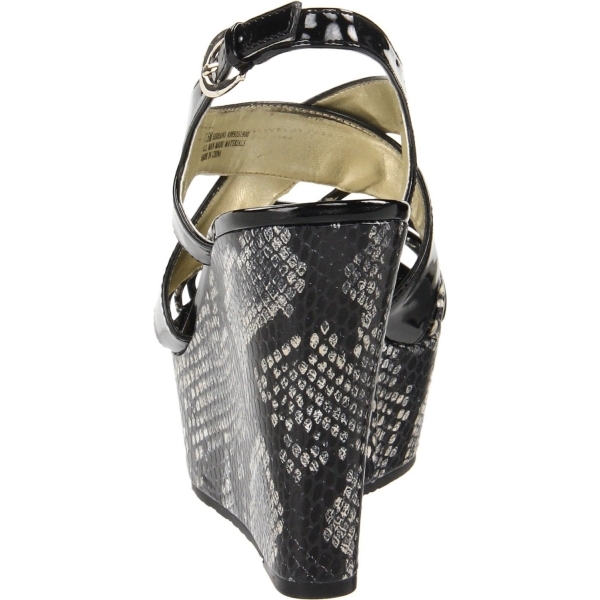 Turn up the heat in this hot Carlos by Carlos Santana's Serrano sandal. This salacious find in synthetic boasts reptilian-reminiscent accents for a snaky charm and a slingback strap for a secure fit. A tremendous platform and wedge grant you a liberal dose of curves that works wherever people sweat in Carlos Santana.